Looking for the best golf ball, try Snell Get Sum Balls - now available in Optic Yellow. They outperform Titleist and Taylormade at a fraction of the price. They feature a large, soft low compression core which makes it have a very low spin rate for increased distance plus it practically eliminates slices and hooks! 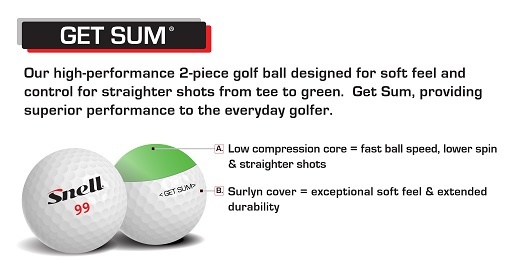 The thin, soft Surlyn® cover contributes to the soft feel of the ball. This core cover combination has been designed to help golfers get the ball in the air easier.